Since 2013, mortgage rates have held near four percent, boosting the “amount of home” a homebuyer can purchase; and the increasing the monthly savings available via a home loan refinance. Against historical averages, mortgage rates are incredibly cheap. However, not everyone gets access to the same low rates. For borrowers with conventional loans, the ability to access the “best mortgage rates” is directly linked to credit score. The higher your credit score, the lower your mortgage rate. This is not news, though. Internet advertisements promising “credit score repair” tout the credit score-mortgage rate connection liberally. However, what you may not have known, is that having a decent score gets you access to lower rates and expands the options available to you as a borrower. With low credit scores, important loan programs can be unavailable or cost-ineffective, especially for borrowers using low down payment loans. 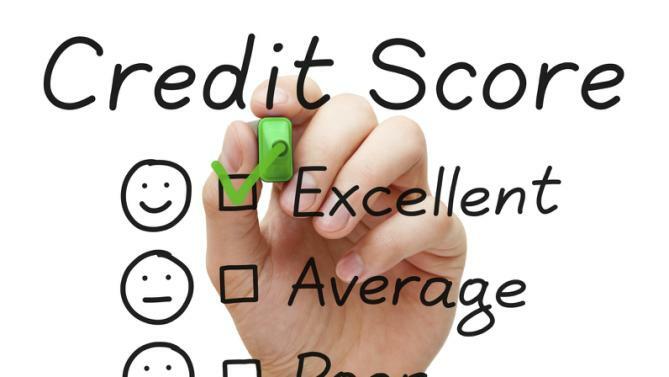 Borrowers with high credit scores get access to a wider mix of solutions. You don’t have to go far on the Internet or in the papers to see “today’s mortgage rates”, they’re advertised everywhere. You’ve probably seen them a few times today already. What’s not always clear, though, is to whom those mortgage rates are available. The short answer is: Not everyone. In general, the mortgage rates shown in an advertisement are geared at prime mortgage borrowers using conventional mortgage financing, where a “prime mortgage borrower” is one with high credit scores and ample income and assets to support a home loan approval. Prime mortgage borrowers also make a down payment of 20% or more on their purchase of a 1-unit home, with the home being established as their primary residence. Because of this definition, many mortgage applicants are not prime borrowers, including borrowers using FHA loans with 3.5% down and VA loans with 100% financing; and, otherwise “great borrowers” who are looking to do a mortgage refinance. Sometimes, the interest rate differential is stark, registering one percentage point or more. Conventional loan mortgage rates vary wildly based on a borrower’s credit score. Prime mortgage borrowers get access to the “best and lowest mortgage rates” you see advertised online and in print. Everyone else gets access to something different. Consider this illustration of two homebuyers purchasing identical, neighboring homes at a price of $360,000. Both buyers plan to make the home their primary residence and both plan to make a 20 percent down payment. The buyers are identical is all respects except: One buyer’s credit score is 740 and the other buyer’s credit score is 680. When the buyers apply for their respective home loans, one is categorized as a “prime” borrower and the other is not. The prime borrower, whose FICO score is 740, is quoted a mortgage rate near 3.75% with zero points. The APR quote is similarly low, yielding a monthly principal + interest payment of $1,390. The other borrower, meanwhile, whose FICO score is 680, is quoted a rate of 4.25% with zero points. And, although still low in the context of history, the elevated rate reflects the bank’s augmented risk. The higher mortgage rate increases the borrower’s monthly mortgage payment by $86 versus his neighbor. Over 30 years, this $86, which is paid monthly, yields $31,000 in “extra mortgage payments” as a result of having slightly banged-up credit as of the date of purchase. $31,000 is more than 10% of the original amount borrowed! With high credit scores, you get access to lower conventional mortgage rates. Good FICOs also get you access to loan programs which would otherwise be unavailable. Take the Conventional 97, for example. The Conventional 97 mortgage is a loan program available via Fannie Mae. It allows for a down payment of just 3% and, unlike the FHA’s low-down payment mortgage option, the Conventional 97 requires no upfront mortgage insurance premium. However, to use the Conventional 97, you must have a credit score of 680 or higher, which is right near the national average. Borrowers with below-average credit scores, then, cannot use the Conventional 97. They cannot use another low-down payment mortgage option, either — the 80/10/10. Often called a “Piggyback Loan”, the 80/10/10 program is comprised of a first lien (i.e. mortgage) for 80% of a home’s purchase price; a second lien, which is typically a HELOC, for 10% of the purchase price; and a ten percent down payment. HELOCs typically require a FICO score of 680 or higher. Borrowers without a 680 FICO, then, cannot access to the 80/10/10 program because they cannot get approved for the “10” portion of the loan. Plenty of loan programs remain available to borrowers with less-than-perfect credit, just not all of them. The higher your scores, the more options you’ll have. Today’s mortgage rates are low. And, they’re even lower for borrowers who can be considered prime. Shop for the best, low rates and see for what you’ll qualify.